See how Charles Lawrence Tennis Courts can benefit you first hand. Our video gives you a behind the scenes look at our MUGA and sports court design and installation. Here at Charles Lawrence Tennis Courts we are specialists in the tennis court construction, including the maintenance and refurbishment of tennis courts and sports surfaces. We provide tennis court installation for a range of clients including schools, local authorities and tennis clubs affiliated to the LTA (Lawn Tennis Association), and we can even provide design and installation services. With a site visit we can establish your requirements and build a plan to suit your space and budget. Using detailed plans and maps you will be able to see how your new court will take shape. Contact us for a site survey and quotation or to discuss your requirements. I can confirm the members are well satisfied with the finished product and there been several complementary comments from visiting teams on how well the courts are playing. 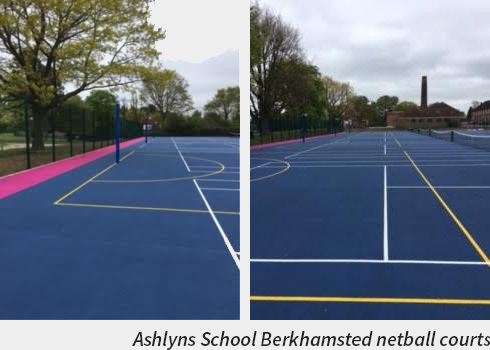 We are delighted with the result, with the finished court delivered on time and on budget and it looks as though the court has always been there from an aesthaetic viewpoint. All work was carried out to a high standard, with minimal disruption and was actually completed ahead of schedule.